Curiosity is the driving force of personal evolution. 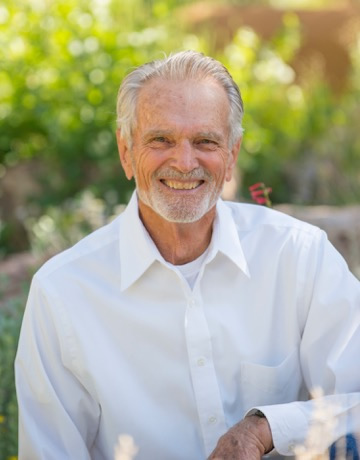 Dan Petersen is a personal and professional development coach, living and working out of Sage Canyon Ranch in Cortez, Colorado. He is certified as a coach by the Hudson Institute of Santa Barbara, where he was also a faculty member of their Coaching Intensive Training and seminar programs. Dan received his master’s degree from Washington University in St. Louis and his DDS from the University of Southern California. He completed post-graduate work in holistic healing with an emphasis on body-mind psychology. He has spent over 25 years studying and teaching professional performance, personal development, refined coaching technologies, and integral evolutionary methodology. AM I OPEN TO COURSE CORRECTION? CAN I START LISTENING DIFFERENTLY? I invite you to a conversation exploring who you are now, what you are becoming, and what wants to happen in your life.